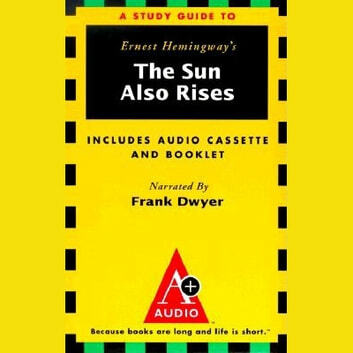 Ernest Hemingway's first critically acclaimed novel follows Jake Barnes, terribly injured in World War I, as he discovers the solace and shell-shocked immorality of the "lost generation" in post-war Paris. 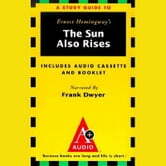 This The Sun Also Rises on A+ AUDIO study guide was written by Robert Murray, a lecturer at Princeton University and the director of the Writing Center at Rutgers College. This program is presented by Frank Dwyer, a poet, playwright, actor, theater director, co-translator with Nicholas Saunders of 13 Russian plays, and author of four young-adult biographies. He is currently teaching Shakespeare at the California Institute of the Arts.